Get your sewing machine licence and start your project for the week. 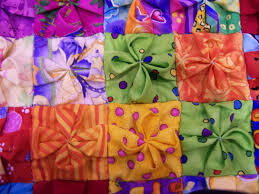 PUFF QUILTS. Use our fabrics or bring your own choice of colours.